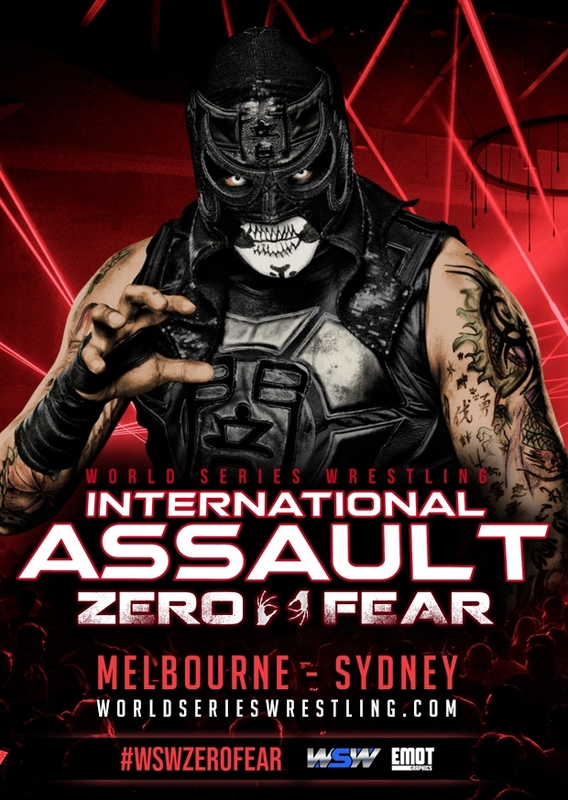 After 9 consecutive sell outs, World Series Wrestling returns to Melbourne on Friday 21 June and Saturday 22 June when it invades the South Eastern Entertainment Centre with its INTERNATIONAL ASSAULT - Zero Fear LIVE Tour. This event will feature the Australian debut of arguably the most in-demand pro wrestler in the world today ... Direct from Mexico City, Star of the new ALL ELITE WRESTLING and IMPACT WRESTLING - PENTAGON JNR. Don’t miss this rare opportunity to see this INCREDIBLE superstar LIVE! So many more superstars are still to be announced. This all ages show will feature all of your favourite WSW superstars LIVE .... Don't Miss the Hottest Wrestling Ticket in Town LIVE!